Building change capability takes more than “want to” or an executive decree. Building change capability takes structure and intent. The risk is that we, as a community, get enamored with the concept of change agility, but we do not do what it takes to actually build it. Building a core competency in change is a transformation for many organizations. It is fundamentally altering how changes are managed and executed. Below are four key tips for building organizational agility, derived from some of the most critical mistakes research participants have seen in organizations that get excited about change capability but come up short when the time comes to truly change how they change. With these tips (and the associated mistakes) on your radar, you will be in a better position to transform how change happens in your organization. In all eight of Prosci’s benchmarking studies, extending back to 1998, active and visible executive sponsorship has remained the greatest overall contributor to success. Why would this contributor to success be any different if the change happens to be building change capability? Building organizational agility will require the right level of sponsor, actively engaging in the effort. This means more than simply paying lip service to a desire to be more agile. 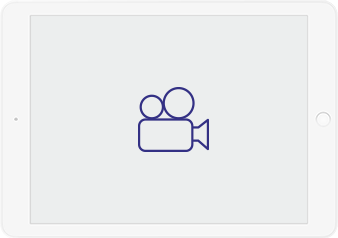 It means providing the resources, budget, authority, credibility and commitment for the effort to truly come to life. As a practitioner pitching an investment in building change agility to senior leaders, your main responsibility is connecting organizational change capability to the strategic and financial success of the organization. You must be able to make a distinct and strong connection between building change management capabilities and what your executives care about—their ability to generate financial return in times of change and move the organization in the direction they want to. Defining the future state of the organization provides direction and a way to evaluate your progress. It also creates stability when the excitement around change management ebbs and flows. Unfortunately, many practitioners begin pursuing change capability without ever defining what they would look like if they were successful. In the Prosci Enterprise Change Management (ECM™) Boot Camp, we use a framework for defining the future state from the enterprise, project and individual perspective. We use “we” statements to capture the intent of building a change management capability. Below are examples of the “we” statements at each level. We consistently meet and exceed expectations in change. We share a common language for change. We appropriately budget for and resource change management on all projects. We have change management present at the start of every project. We all see “leading change” as part of our job. We have the skills to do it and we are measured on how well we do it. All of these approaches have merit, but without a holistic approach you end up with isolated tactics that fail to drive a true core competency. 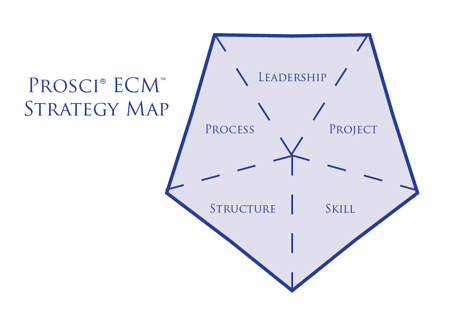 In the Prosci ECM Boot Camp, we use a five-wedge model called the ECM Strategy Map to describe the various types of tactics that can be used to embed change management. Each of the five wedges must be considered. 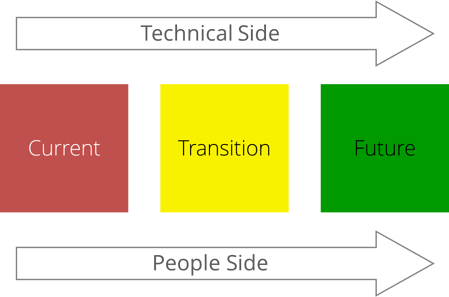 And over the lifecycle of your change management capability build, there will be different focuses on different wedges. Although the balance of your ECM Strategy Map might look different than the map of another organization, you need a holistic approach to build change capability. Building capability doesn’t have to mean doing more or new things, but rather extending what you already do with the intention of capability. Reframe your day-to-day change activities into “capability catalysts” and identify your daily opportunities to influence change maturity.